Say what?? 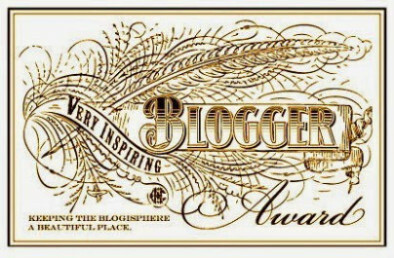 So yesterday, on one of my darker days, I got two nominations for inspiring blogger award. This seriously came as a shocker since my post have been a bit of a downer lately. It really lifted my spirits so thank you Christina and Raquel for nominating me! I have been following Christina for a little bit now and she forced me to accept the girly-girl in me and her post are always so amazing and uplifting. I just found Raquel’s blog and I can’t wait to see all the wonderful things she has to share with the world! First of all, here are my 7 facts…this is going to be tough. I have a favorite word…its Indubitably. It’s seriously fun to say and took me a few hours to be able to say it properly. My favorite color is Purple. With Neon green and Hot pink coming in a close second. My brother and my mom are my two best friends! I hang out with them all the time and I am not ashamed of it. I have a short temper like my dad. I am the crazy cat lady…I have somewhere between 15 and 20 cats outside that I feed and talk to every day. I am still considering joining the military. Now to the harder part…I don’t think I even follow 15 bloggers, so this list may be shorter than it should be. I will start venturing out into the internet world and finding more amazing blogs to follow. I seem to always find the bloggers that disappear after a few months..
That’s all I got. All of you inspire me on different levels. So never stop posting! I would LOVE to see all your cats! Can you take a picture of them standing all around you so that I can feel like I have 15-20 cats?!?! LOL!! I will seriously try to get a picture of them when I feed them. lol I can’t touch all of them. Some still refuse to let me near them, but when it’s feeding time they crowd the bowls. Thank you so much for including me on your “short” list! You definitely deserve your award as your blog has inspired me with your honesty and courage. Looking forward to many more posts to come! Pingback: I’m an Inspirational Blogger? If you say so | Write me a book, John!